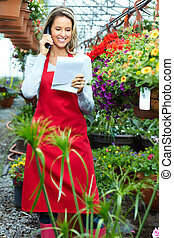 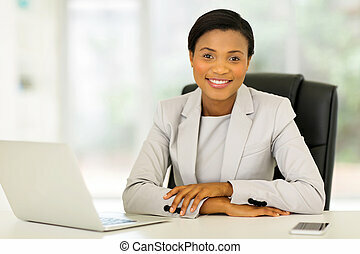 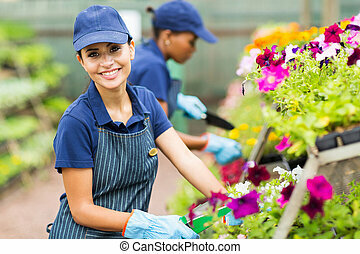 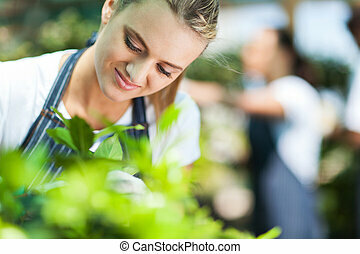 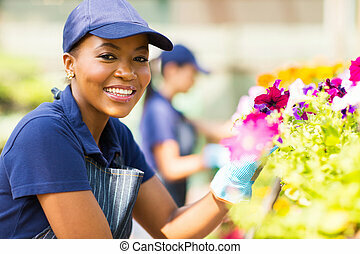 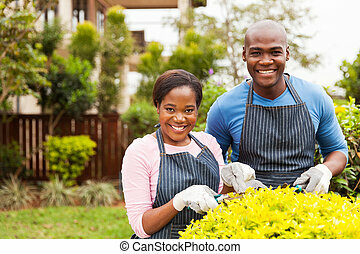 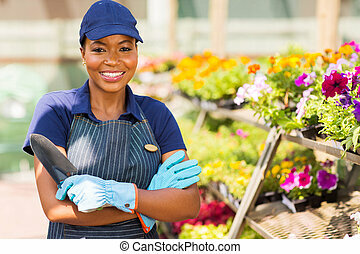 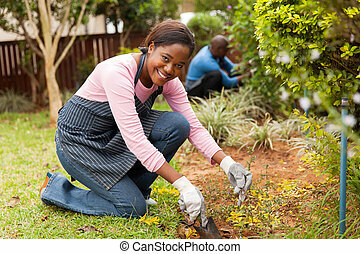 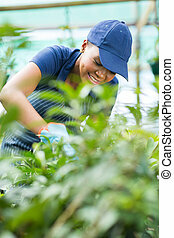 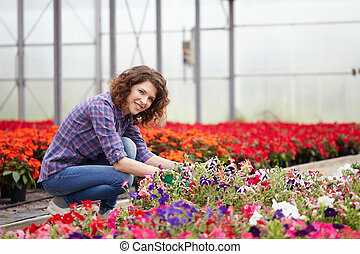 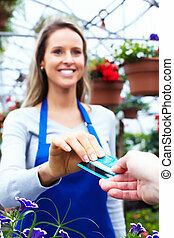 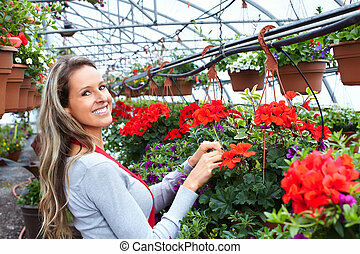 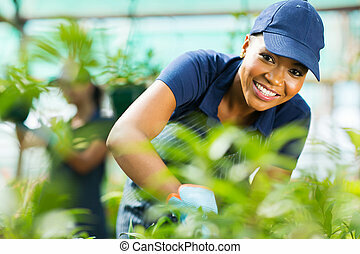 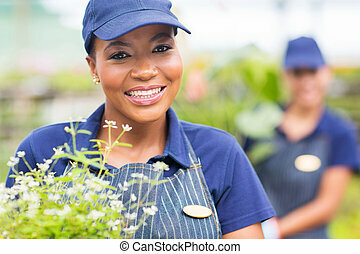 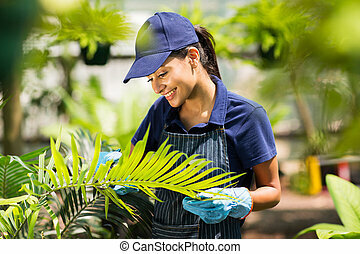 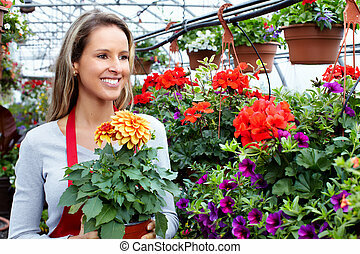 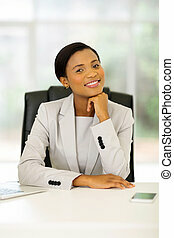 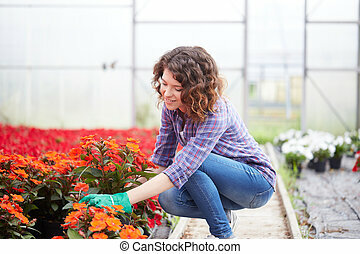 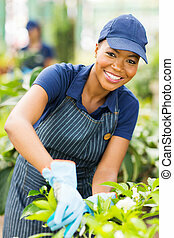 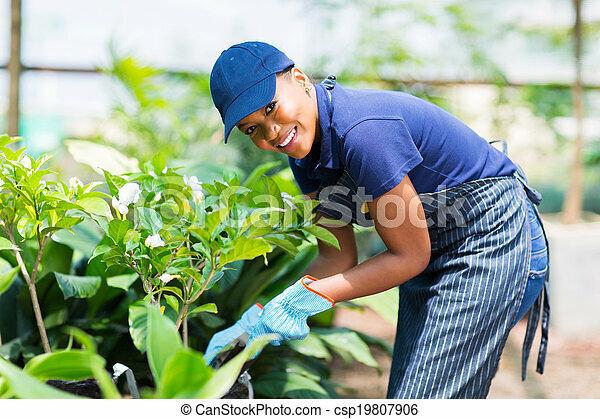 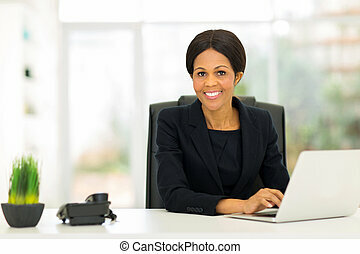 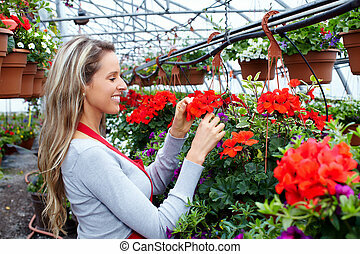 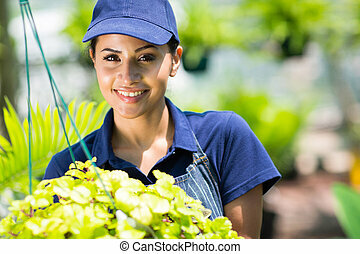 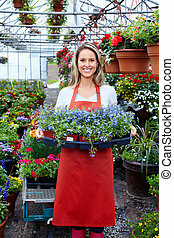 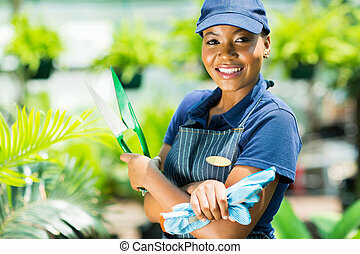 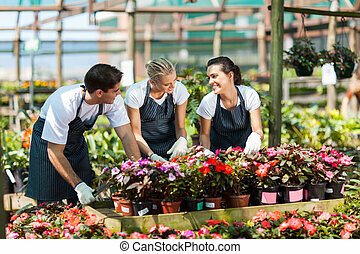 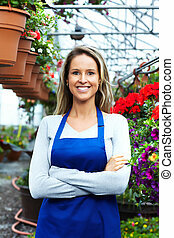 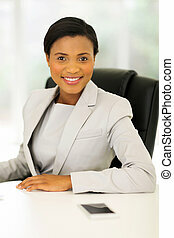 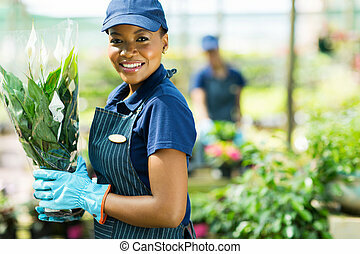 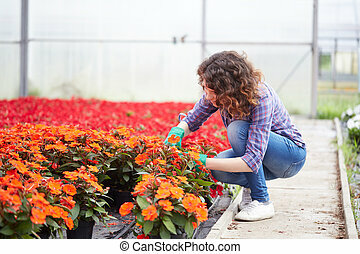 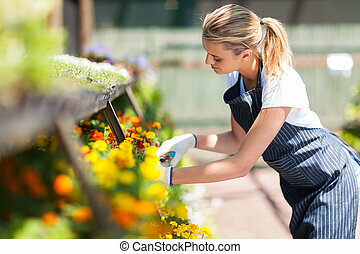 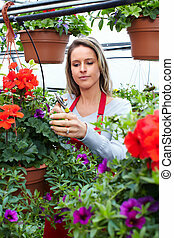 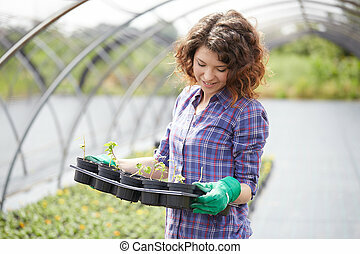 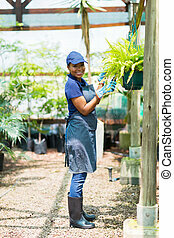 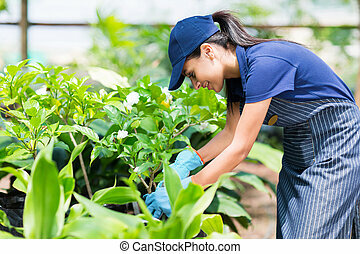 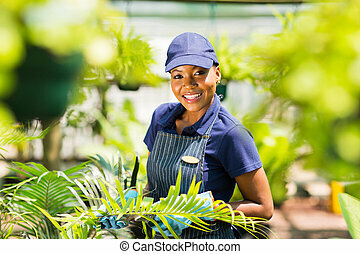 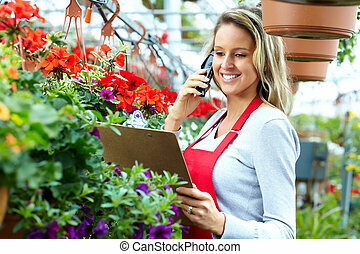 Beautiful afro american woman working in nursery garden. 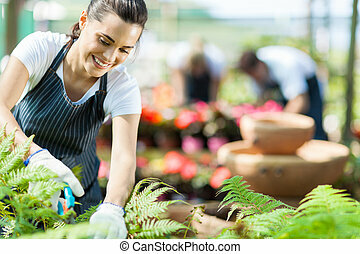 People working in nursery. 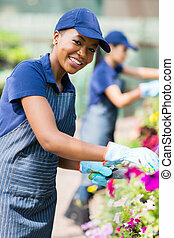 Gardening background.